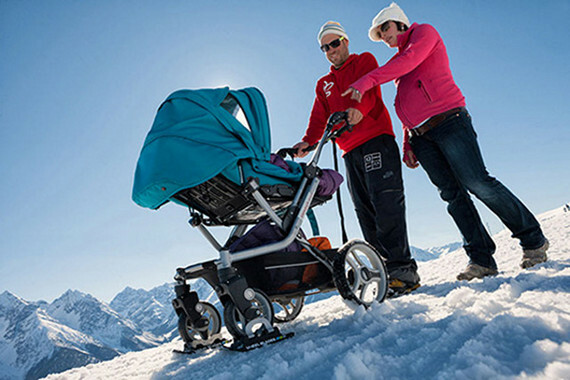 Wheelblades are attachable skis that fit onto the wheels of a baby stroller. You know, for when you take your infant out to hit the slopes. Before Wheelblades, I wonder what the heck people were using. But it could be that people just didn’t bring their babies to the f***ing ski resort. What’s next? A skydiving harness to strap to your little munchkin when you jump out of a plane? Sorry new parents, but having a baby is basically giving up your right to do cool, fun, dangerous stuff whenever you want for at least 18 years. Or if you’re my mom, FOREVER. I’m high maintenance! You have obviously never lived in a place like Ottawa, Ontario, CANADA. They are used to get around on SIDEWALKS in the WINTER you tool!!! An Alien Baby Doll, Because Alien Babies Need Dolls Too!